Time is running out for customers on the hunt for a new Subaru if they want to make use of the company’s generous VAT freeze offer. Anyone buying a new Subaru Legacy, Outback, Forester or WRX STI model before March 31st will only pay VAT at the 2010 levels. Typical savings on a Forester 2.0D XS NavPlus would be around £600 while a £660 saving can be made on the high performance WRX STI 4-door saloon or 5-door hatch. 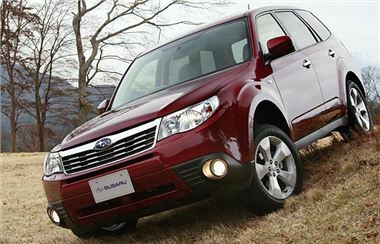 For more details on either of the offers customers should text VATFREEZE to 60800 or visit www.subaru.co.uk/vatfreeze.